quality rating with our customers. Getting a quote is now easier than ever with our new quoting tool! With this button you are just a few clicks away from expert service and unsurpassed quality. 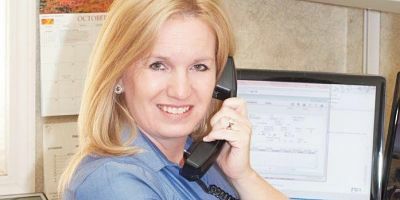 We are small enough to provide dedicated customer service on a personal level yet experienced and knowledgeable enough to handle specialized jobs of all sizes. 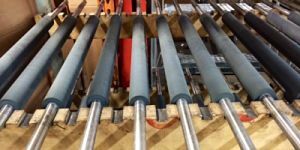 Whether recovering used or supplying new rollers, we strive to manufacture a quality product that meets and exceeds your expectations of durability and performance. No two jobs are alike. Luckily, we love a challenge and are confident that we can engineer and produce the perfect product to meet your exact specifications in a timely manner. 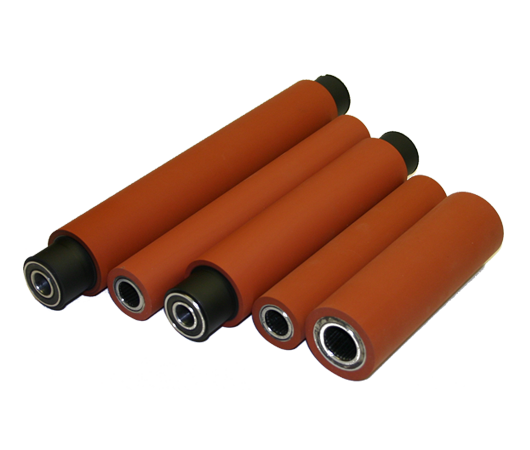 We can engineer and produce flexographic, off-set, digital, and gravure printing rolls to your unique specifications as well as recovering used rollers to increase the longevity of your existing set-up. 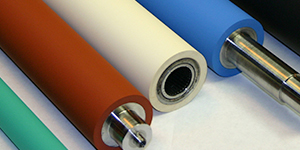 Superior quality tinting and coating is now possible using the MagnaFlex® 55 with water-based or UV inks. Popular sizes ship next day, while custom sleeves may be special ordered. 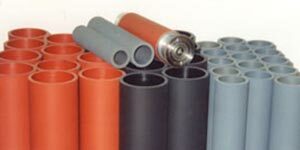 Look no further for your laminating and pelletizer rolls, glass washers, bleacher wheels, and packaging needs. We can engineer all of these and more to your exact specifications. 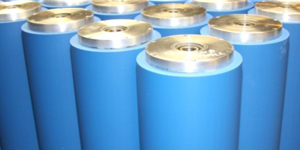 Our rollers are used in plate glass washers for Bilco and Benteler glass-washing equipment. 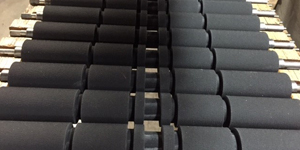 Our offerings include anti-static rubber coverings, high-temperature silicones, and abrasion-resistant compounds. 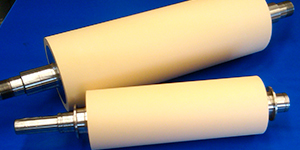 We can manufacture new or recovered rolls for use in the food, pouches, plastic film, health and beauty, and pharmaceutical industries.